Bentley Systems announcesthe availability ofOpenUtilities™DER Planning & Design Assessment Solutions,the latest of Bentley’s electric utility softwareofferings thatprovide decision support and cost-based models and simulations for Distributed Energy Resources (DER) integration. In partnership with Siemens’Digital Gridbusiness unit, OpenUtilitiesSolutions for DER empowerselectric utilities, electricity suppliers, and distribution network operators (DSO) withsoftware applications to analyze, design, and evaluate DER interconnection requests through desktop and cloud-based services, while supporting the reliability and resilience of network operations.OpenUtilities Solutions for DER create automatic network analysis models for Siemens’ PSS®SINCAL with the integration of GIS-based network data (including ESRI, GE, and Smallworld). The solutionsgenerate an electrical digital twin for utilities – a GIS digital twinthat enablesowner/operators to more efficiently model the grid for decentralized energy without compromising safety and reliability.Some of the major challenges utilities encounter with DER integration are system complexity, increased regulatory requirements, highcustomer demand, and cost management. 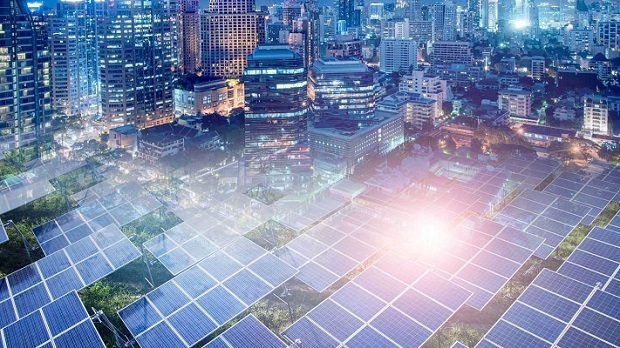 Digital twins can providehuge efficiencies in grid operations by streamliningDER interconnection applications with optimized workflows to better assess operational impacts, long-term strategic scenarios and investment decisions. 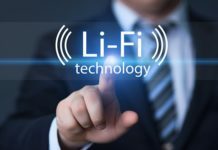 With the increasing penetration of DER into the grid, utilities need digital applications to handle the increasing demand for DER interconnections and collaborate across work groups. OpenUtilities DER Optioneeringoffersa cloud-based decision support initial screening and supplemental screening mechanism to evaluate DER interconnection requests using validation checkpoints andhosting capacity analysis. Utilities can benefit from this fast-track interconnection procedure to readily approve DER applications or to defer them to power systems planners to conduct further studies and impact analysis. The application provides a practical and cost-effective method to streamline and automate the DER approval process without always having to involve costly engineering resources and expedite the interconnection request process. It enables non-engineering staff and managers alike to effectivelymanage DER interconnection applications while adhering to complex regulatory requirements for DER permits. In cases where more detailed system impact studies are needed before an interconnection request can be approved, OpenUtilities Analysis gives power system engineers a mechanism toreduce the amount of manual work required at each step of an impact analysis study. This means accurate forecasting, state-of-the-art models and the ability to efficiently study many power flow scenarios within the network. It enables power system planners to better forecast and model the grid for decentralized energy without disrupting current operations. 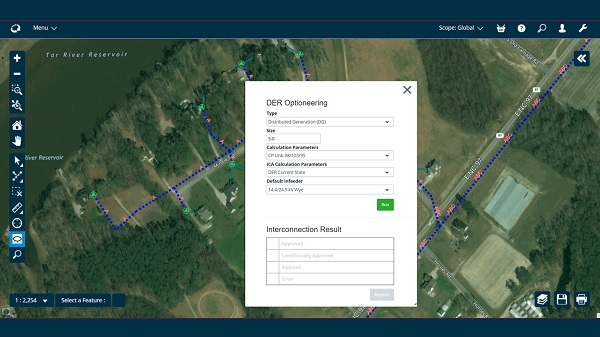 OpenUtilities Design Optioneeringadvances OpenUtilities Analysis one step further with cost-based decision support for planning and designing complex utility networks with DER. The application provides the ability to analyze both planned and existing infrastructure, optimize equipment sizing, and estimate materials and labor costs for DER projects. This helps utilities minimize design construction costs associated with DER and streamline the DER interconnection process with detailed cost estimation included with the impact analysis studies.